Maduro and Putin Agree to Strengthen Cooperation at Talks in Moscow. 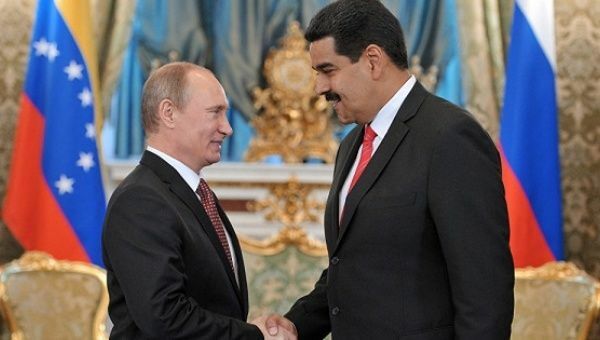 The Russian President acknowledged the efforts of the Maduro government to facilitate dialogue with the opposition. 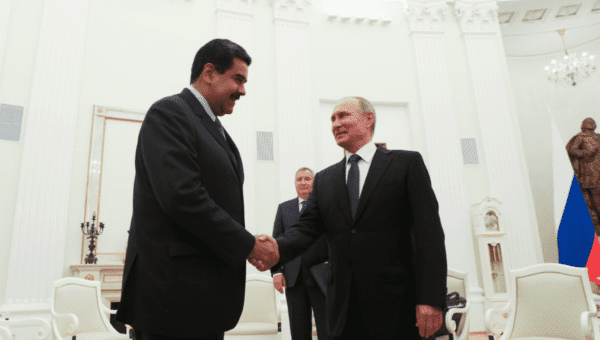 Venezuela’s President Nicolas Maduro has thanked his Russian counterpart Vladimir Putin for his support during a meeting between the two leaders in the Kremlin. Putin’s Russia Bashes ‘External Interference’ in Venezuela. Posted by cubainsidetheworld in Russia-Venezuela.